THE MAJORITY OF directors believe a culture of ‘who you know’ still exists in Ireland for appointments to company boards, a new survey. The Institute of Directors in Ireland surveyed a number of its members on various aspects of governance. While 70% believe this culture still exists, 19% believe it is the mainly the case in State-owned companies. Minister Leo Varadkar said earlier this year that he doesn’t think it’s a negative thing for State board appointees to have political connections. The survey also revealed a split between men and women on the topic of gender equality on boards. Over a quarter of men believed it had improved, with 48% reporting that it had marginally improved. This second figure was much higher among women as two-thirds believed it had only improved slightly. 97% were positive about the outlook for the Irish economy next year. 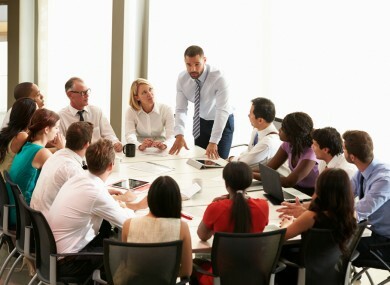 61% believe boardrooms lack diversity. Email “Most directors think a who-you-know culture remains for getting on a company's board”. Feedback on “Most directors think a who-you-know culture remains for getting on a company's board”.